Registration will be open from 8:45 to 15:00, in Building 7. The most up to date schedule can be found here. We will be streaming all talks given in the main room - Crystal Hall - on Ustream. Education policy makers sometimes talk of technology as if it were the be all and end all solution to the standard and quality of education. The more computers and tablets the merrier the learning. Universities are frequently the incubators for technological innovations, but are not necessarily the places for innovative uses of technology for learning. Schools are given the financial support to purchase tablets, but school-based WiFi connection and curriculum development is not necessarily supported. Faculty members and teachers usually place the blame on the technology and curricular restrictions. Students think of course-based technology as yet another assessment box to tick, and the learning management systems have nothing to do with their own everyday digital practices. Meanwhile, commercial apps and platforms provide user-friendly and interest-driven networks, and students are doing something more spectacular and are learning autonomously in their leisure time. In this talk, I will give an overview of recent advocacy and dilemmas of technology in education to discuss the current dis/connection between digital practices and learning. I will use three case studies from Hong Kong and Germany to demonstrate the rewards for making technology relevant to students’ digital practices. I will conclude by proposing areas in which we can connect everyday technology to academic learning. Alice Chik is Assistant Professor in the Department of English, City University of Hong Kong. Her research interests include technology in second language learning, popular culture and language teacher education, and narrative inquiry. She recently published Narrative inquiry in Language Teaching and Learning Research (Routledge, 2013, with Gary Barkhuzien and Phil Benson) and Popular Culture, pedagogy and teacher education: International perspectives (Routledge, 2014, with Phil Benson). She is currently working on a new edited volume, Discourse and digital practices (Routledge) and special issue of Language Learning and Technology (with Rodney Jones and Christoph Hafner). Contrary to the managerial hype along with the commercial and entrepreneurial motivations of the promoters of Information Technology (IT) in University classrooms, there is very little real understanding of how IT fits with existing theories of learning and teaching, how digital technologies can be integrated with learning and teaching activities, and what kinds of theories of learning and teaching can best address these questions. A pervasive technocratic-managerial discourse that is replete with nominalized abstracts such as “globalization”, “globalized knowledge economies”, “massification”, “commodification”, “higher education practices” and so on obscures rather than clarifies what a coherent theory of teaching and learning and the role within it of IT and digital media might look like. Above all, what gets obscured by this discourse is that persons learn and teach, not technologies. Furthermore, people create and sustain their learning and teaching trajectories on the basis of complex, dialogically coordinated relational and affective dynamics that cannot be reduced to technical skills or to the properties and characteristics of the technologies used. Instead, humans are adapting to participate in and to learn in Distributed Cognitive Systems, which are a distinctive hallmark of the extended human ecology. In this talk, I will explore new conceptions of learning and the role of educational technologies in learning and teaching activities in a university setting. Drawing on recent theoretical developments in distributed cognition, distributed language, and multimodal interactivity, I will undertake an unpacking of the RASE (Resources-Activities-Support-Evaluation) Learning Design model and the concept of interactivity within a distributed learning system. Using the techniques of Multimodal Event Analysis and Cognitive Ethnography, I will uncover how participants’ multimodal interactivity with the changing affordance arrays of these technologies is not only a form of action, but also a form of publicly enacted thinking when persons are coupled to external media as they engage in problem solving and other cognitive tasks. In doing so, I will emphasize that learning, which is ubiquitous in human interactivity, is a values-realizing mode of behavior which presumes a heterarchy of diverse and shifting values that shape and guide teaching and learning along their trajectories rather than pre-determined, hierarchically ordered goal states. Mark King is a Senior Lecturer and Deputy Director of the Centre for Excellence in Learning and Teaching in the Faculty of Business and Economics at the University of Melbourne. His current work involves leading the faculty’s strategy in technology-enhanced learning and teaching, supporting staff in learning design and technology integration, and undertaking research in the area of e-Learning and e-Teaching. His current research interests intersect contemporary learning design and emerging technologies, especially in terms of multimodal human interaction and distributed cognitive systems. He has a background in psychology and prior to his academic career, Mark was a cognitive ethnographer working on projects spanning many years and nearly 70 countries. He also worked as a stunt coordinator and stuntman on over 50 Hong Kong, Hollywood and international feature films. Adrian Leis, assistant professor in the English Education Department at Miyagi University of Education. In an English as a foreign language (EFL) environment, students are often unable to access native speakers of English and foreign culture as readily as those studying in an all-English speaking community. 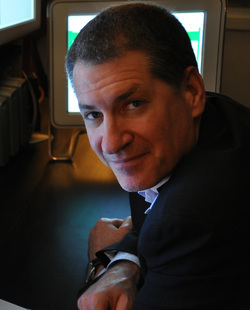 However, the introduction of computer technology into the EFL classroom has allowed language instructors to provide their students with more opportunities to have similar experiences as those studying abroad. In this presentation, I will discuss various ways of using computer technology to increase students’ motivation to learn in an EFL environment. First, I will report on the findings of recent research involving teachers’ attitudes towards using technology in the classroom and how such attitudes were improved through the use of computer tablets in teacher training. Second, I will introduce various simple ways of using technology in the classroom, such as mobile phones, social networking systems and flipped classrooms to help make English lessons ‘audible’ for deaf and hard-of-hearing students. Finally, I will present further developments for future research in paperless classes, including the use of electronic textbooks and whether these are effective in not only increasing the motivation of learners, but their language proficiency as well. 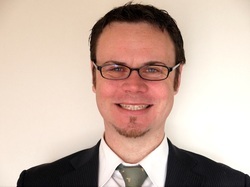 Adrian Leis is an assistant professor in the English Education Department at Miyagi University of Education. He has more than fifteen years of experience teaching English in Japan to students of all ages from kindergarten to adult learners. His research focuses on L2 learning motivation and CALL.